Home improvement loan is a common thing offered by most banks and mortgage companies. As such, most people would look for the best home improvement loan they can get to remodel, update or repair their home to fit their needs, and it result an increase in their home value. However, many still don’t know the nature of home improvement loan and where to find some of the best home improvement loans. So for those who are not so informed about the home improvement loan, here are some simple facts about home improvement loans for you to understand better. A home improvement loan is actually one kind of debts, and as such, the home improvement loan can either be an unsecured loan or a home equity loan. An unsecured loan means that you get to borrow the bank for a small debt which base on your income and credit history, and the interest rates of payments are usually high, but with low closing cost. An home equity is when you required a larger debt for you home improvement projects and this is usually where you would take the equity of your home as collateral for the loan. Usually you would get a better rate of interest from your loan but with higher closing cost. All payments often are in monthly installments through a period of time or sometimes pay back in full after certain period of time. For further information, there are certain banks that offered home improvement loans that generally funded by deposits. On the other hand, for other institutions that provide home improvement loans use debt contracts as the common source of funding. 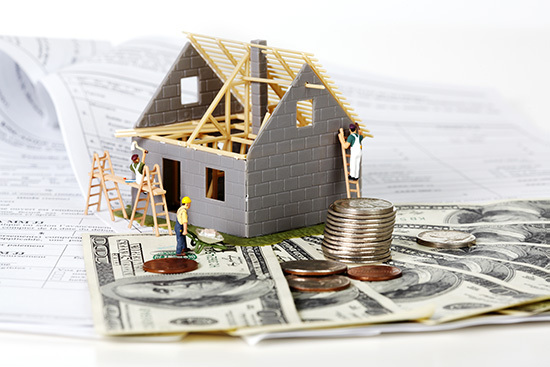 There are many banks and financial institution that provide the loans, but, below are some of the recommended resources for home improvement loans. One of the notable institutions that offered home improvement loan is Wells Fargo when you looking for an unsecured loan. They can let you borrow with a competitive fix rates and your personal loan or line of credit loan be be between the range from $3000 – $100,000, or another institution such as Lightstream where their interest rate can be as low as 4.9% as of the time this article posted. As for home equity loan, a couple of mortgage companies on our lists are U.S. Bank one of the 5 largest bank in America, and once you qualify with them, you can get discount if you sign up with their autopay program and your loan term can be as long as 30 years, so there plenty of time for you to make the payment. And if you want to take advantage of being a member, at Bank of America you can get interest discount rate. Also they don’t charge application fee, closing cost, or annual fee. Which can be a good deal for some borrowers. Also, don’t hesitate to shop around different loans from different companies to get the best home improvement loans for your project. Now that you have some basic understand of home improvement loans, hopefully you can start on your house project with a little peace of mind when you thinking about remodeling that kitchen, or update a bathroom, or any repairs that you are planning to do that requires additional fundings. Be the first to comment on "Helpful tips about home improvement loan"